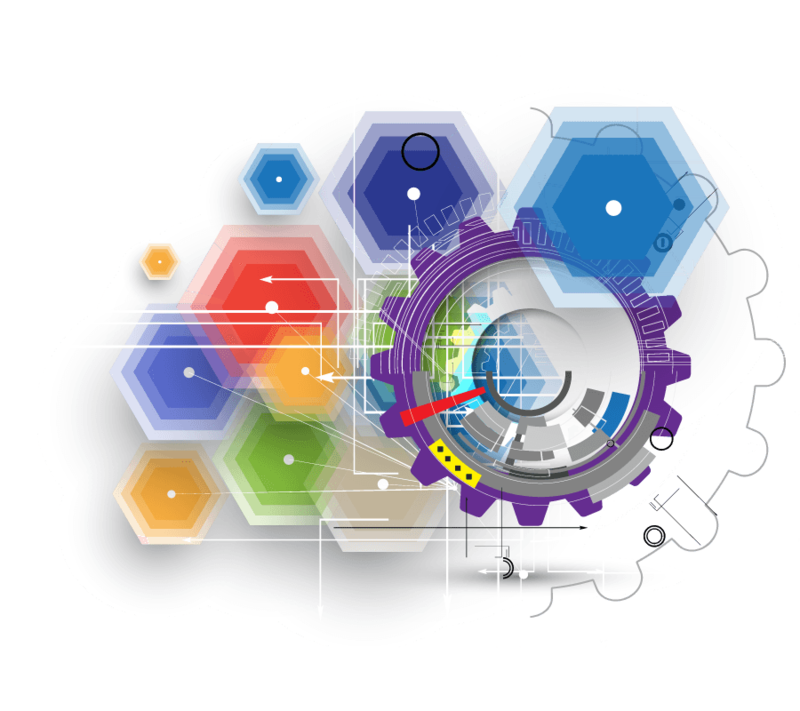 A solution aimed at ensuring the stores making retail sales to reach true information in the right time and give the highest quality service by means of information technologies. You can make your sales cash or credit/installment and can follow up stock and sales based on department. 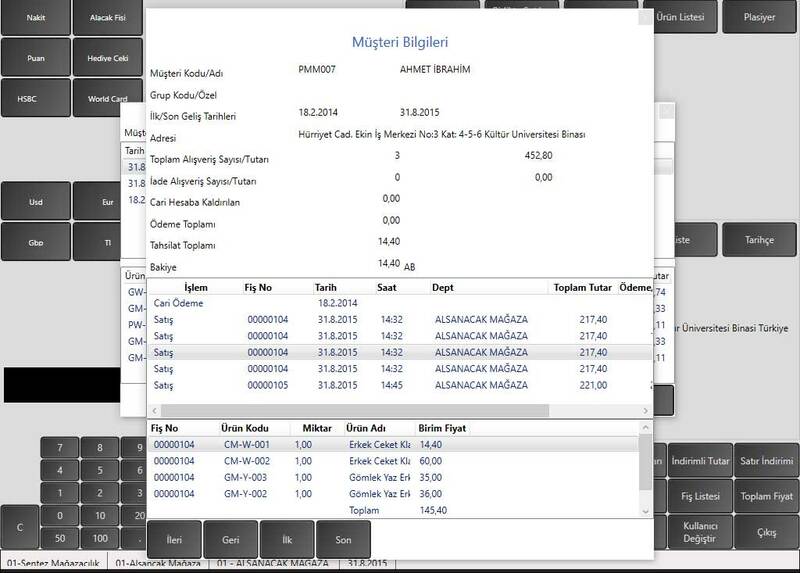 You can define single or multiple cashiers and can receive cashier’s desk reports(x report) based on cashier(shift). You can follow up detailed all information about belonging to your customers. You can follow your customers’ special days. 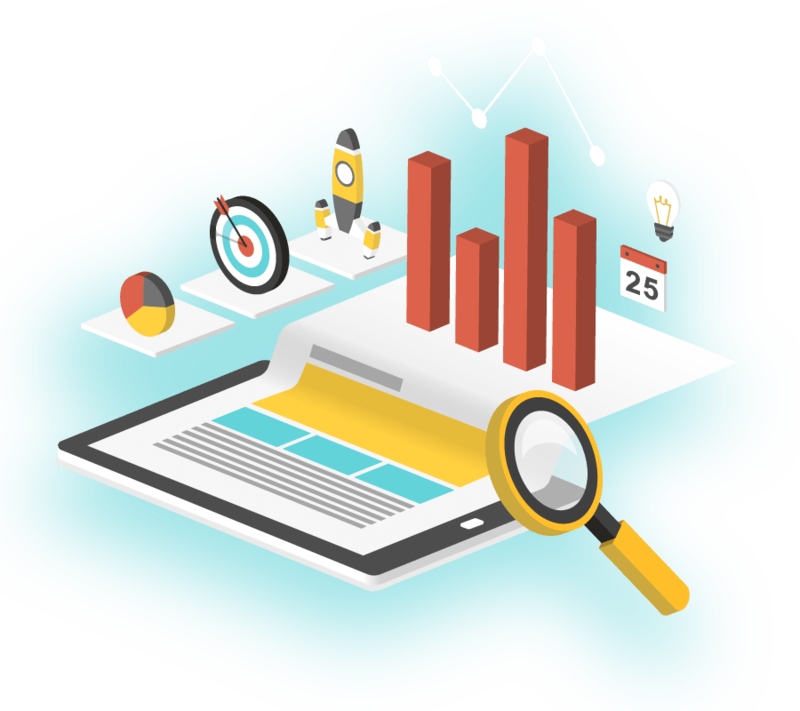 You can make your customer orders based on intended exchange type and TL and can get detailed and cumulative reports on this basis. 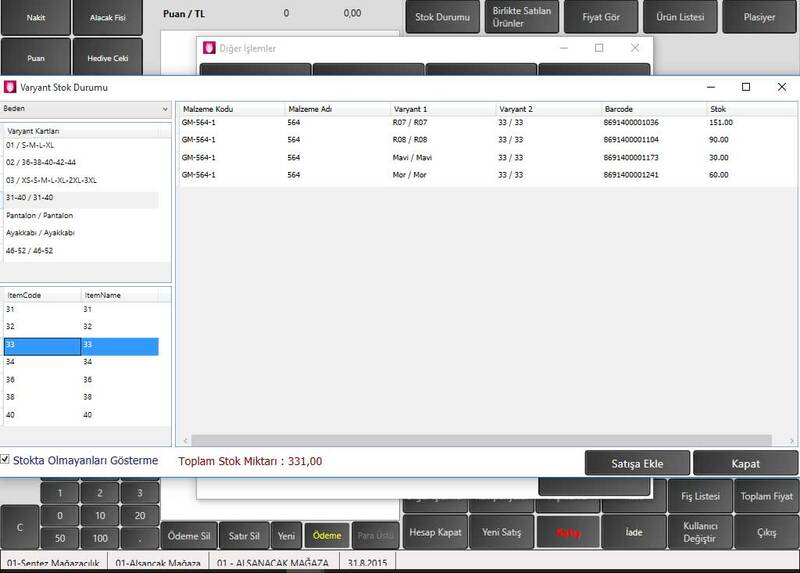 You can follow up your purchase orders (order request and order approval) as double-staged and can give based on desired exchange type and TL. You can define product groups (season, brand, model etc.) and can receive statistics based on groups. 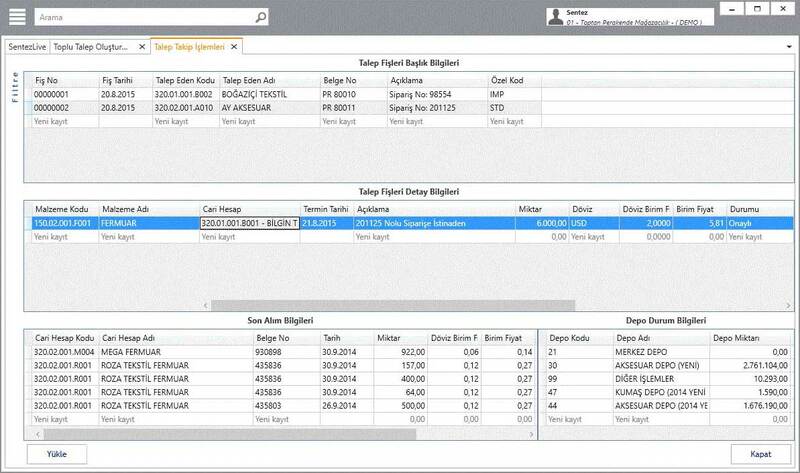 You can make entry movement based on TL and intended exchange type on a single card and can get the reports of it. You can follow up balance as separately and general total according to account types and can get abstract and balance reports. Thanks to our campaign module’s easy usage and flexibility, lots of various promotion offers can be make according to the necessity of time. You can do cash or on credit/installment your selling. 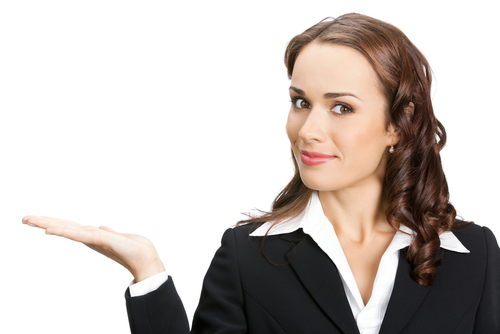 You can follow up inventory and selling on the basis of department that can receive statistical reports. You can use form of payment as gift cheque and creditors’ plug, cash (type of currency or TL), credit card (Master, Visa etc.) You can arrange as desired remainder of money transaction. You can follow up of selling and can receive statistical reports on the basis of season. You can follow up selling and premium. Quota and premium rate can determine on the basis of selling/collection. 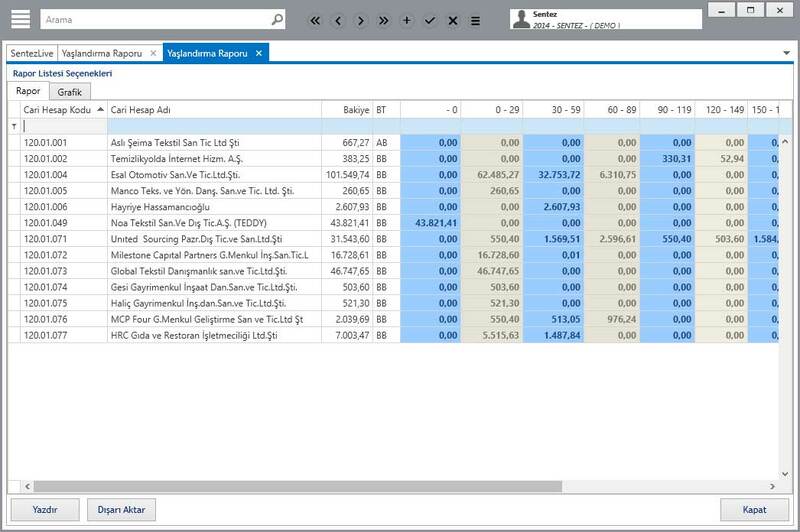 Premium and Quota rate can define accord product and product group for different date ranges. You can follow up promotion. You can make discount on the basis of product, date, hour, and department. 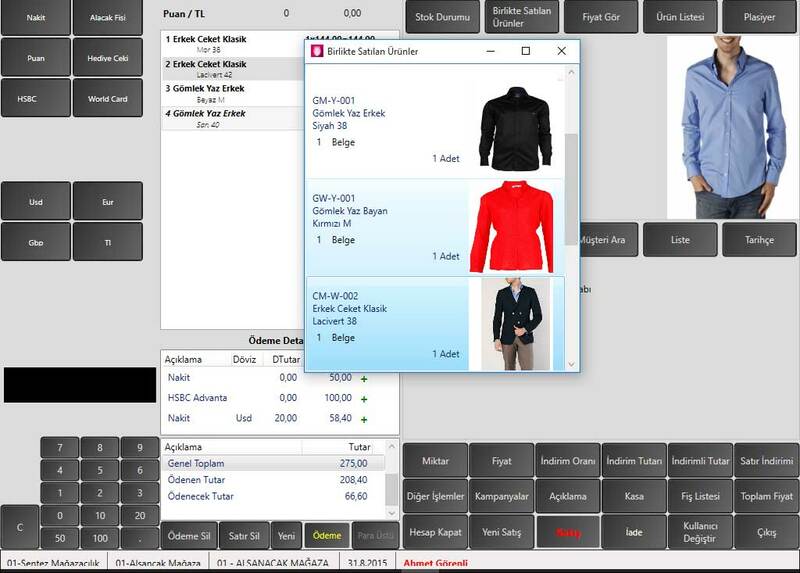 You can receive detail and make a sale based on color/size. You can make barcode your selling that can use quantity (weight units) barcode. You can identify price and discount on the basis of customer. You can use product serial numbers of your sales. Accordingly, you can receive reports. You can transact return and change. You can see customer’s picture and customer’s shopping statistics while selling. You can follow up customer’s order and delivery and receive down payment. In addition, you can use touch screen. Product price can identifiable to foreign currency and sell to foreign currency. 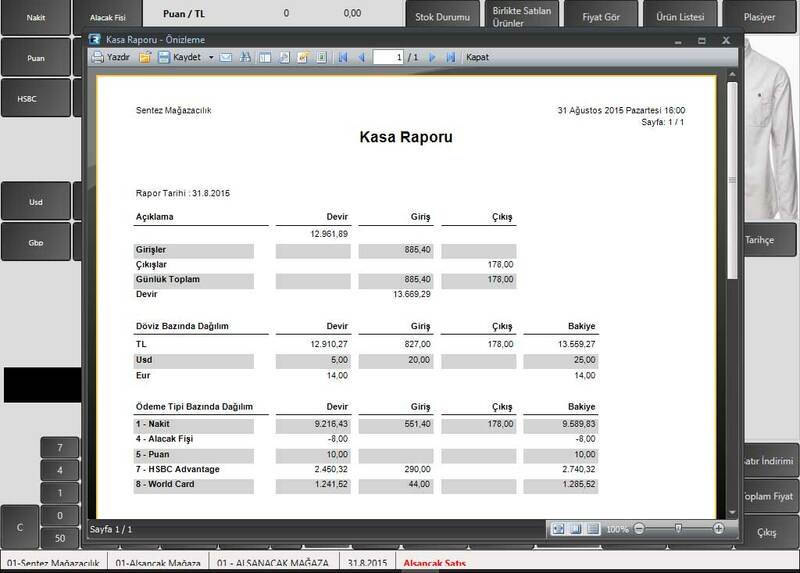 You can print form creating invoice during selling process. You can identify one or more cashiers and receive cash reports (X reports) on the basis of cashier (shift). You can receive as a summary and detail daily cash reports (Z reports). Cash opening and postclosing reports can receivable arbitrarily as method of payment, currency, sales and expense distribution. Movements of money can followability between cash. 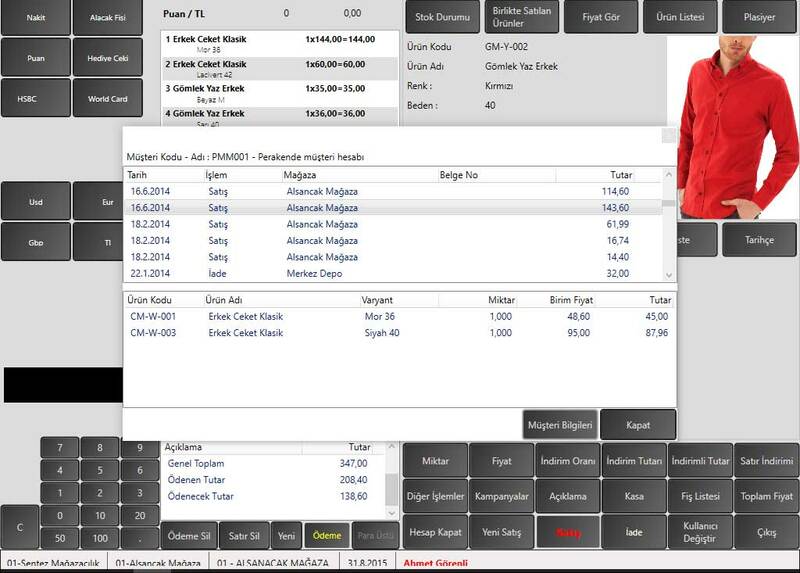 Sales return and cancel transaction and end of day can trackable with detail by performed by the cashier. You can follow up your customers’ information and special day as birthday, wedding anniversary. You can send automatically with e-mail or SMS. You can follow up such as your customers’ job and state of education so you can make customer segmentation and can arrange range of products.You can determine taking of shopping statistics your customer preferences. You can follow up customer which is VIP, black list that can follow up request and complaint belongs to customer. You can receive guarantor and payment statistics. 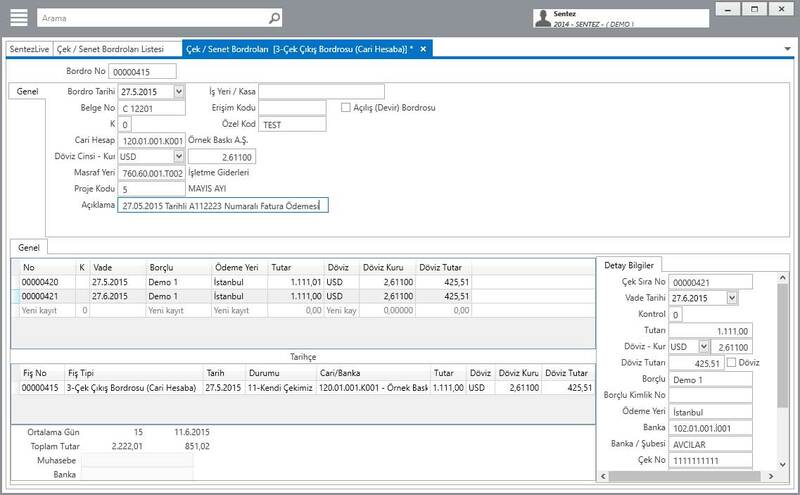 You can make preferred currency and TL that can receive detail and cumulative reports. You can determine practicing for customers’ order. 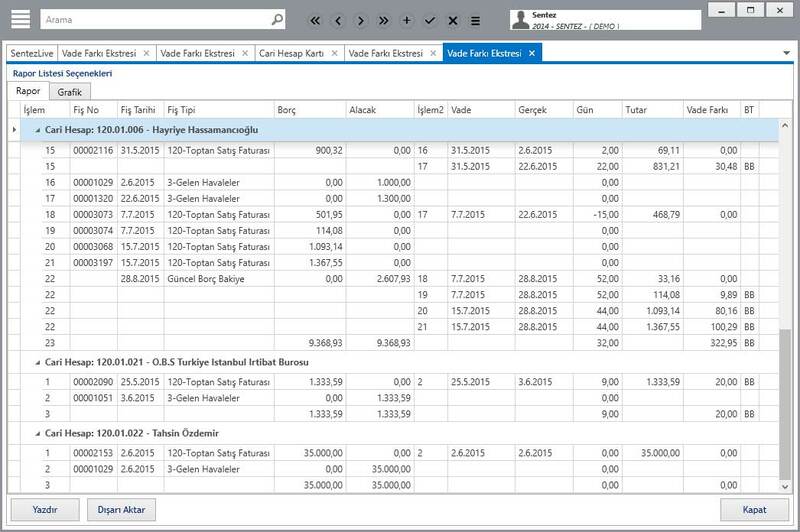 You can receive open and closed order’s detail and cumulative reports on the basis of practicing. You can enter data on the basis of intended in order receipt. 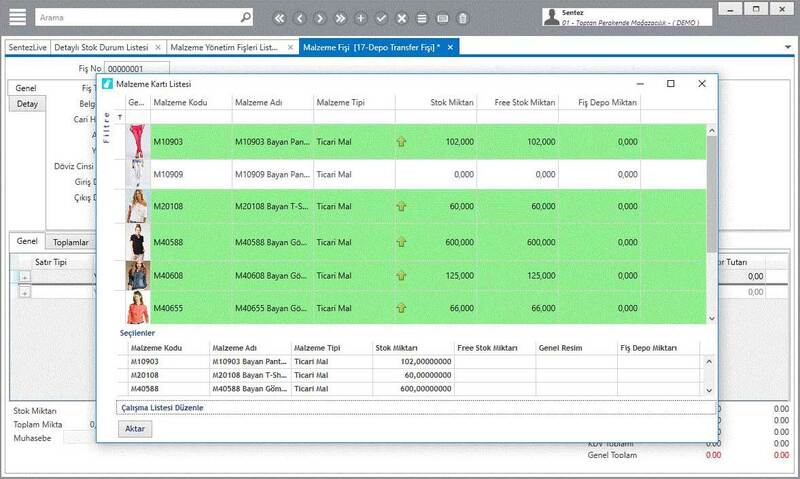 You can receive all detail and cumulative reports by defining numeric and alphanumeric special codes. 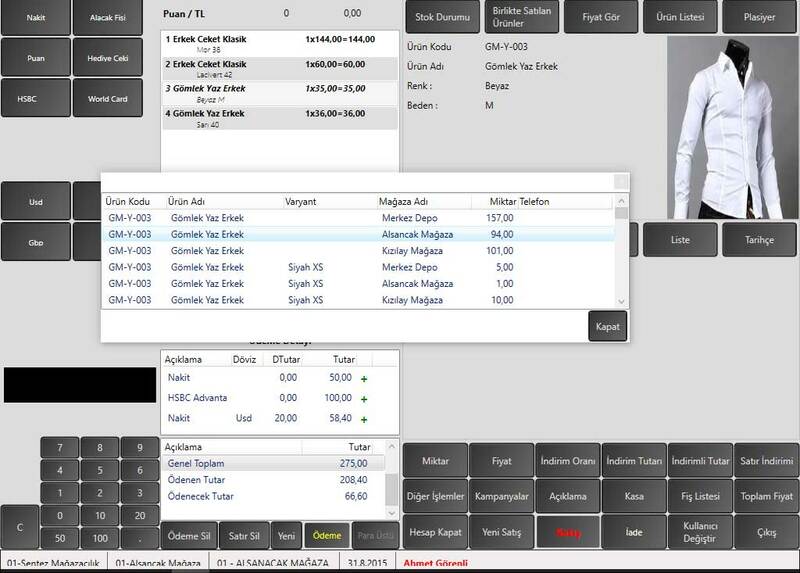 Customer order management can reserve product order incoming from customer. You can make order entry accord state of stocks. 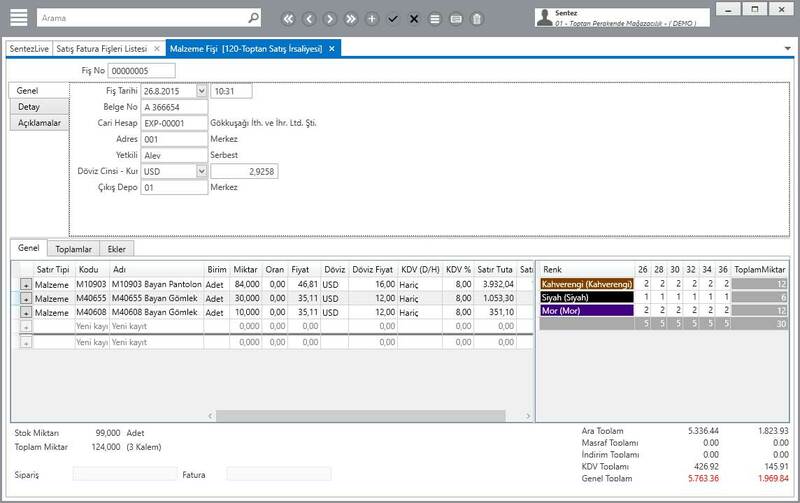 You can compare buy order with customer order that can determine a need accord state of stocks. It is comparable customer order with state of stocks that make an analysis state of stocks accord order. You can follow up two-stage as order request and order confirmation and you can receive on the basis of currency and TL. 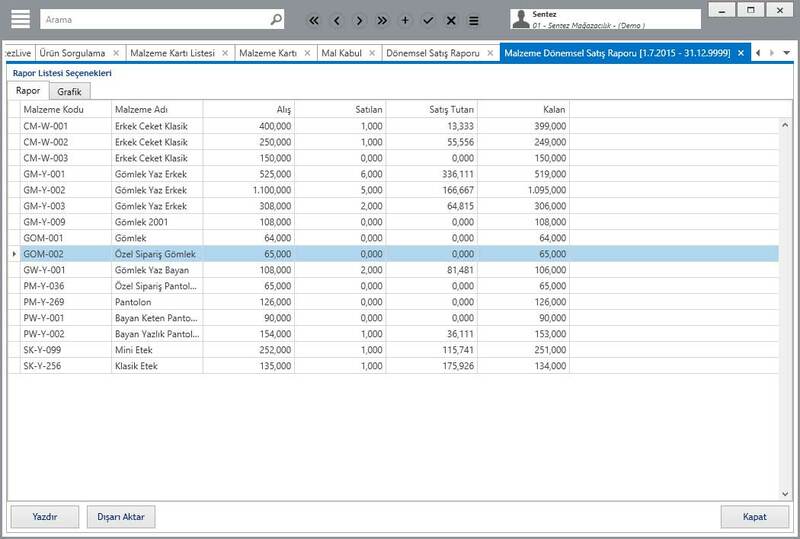 You can enter data on the basis of intended in buy order. 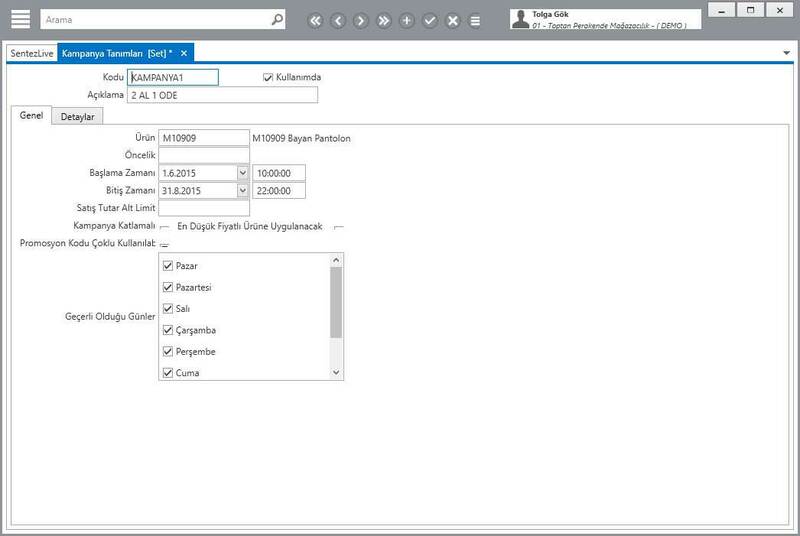 You can receive all detail and cumulative reports by defining numeric and alphanumeric special codes. 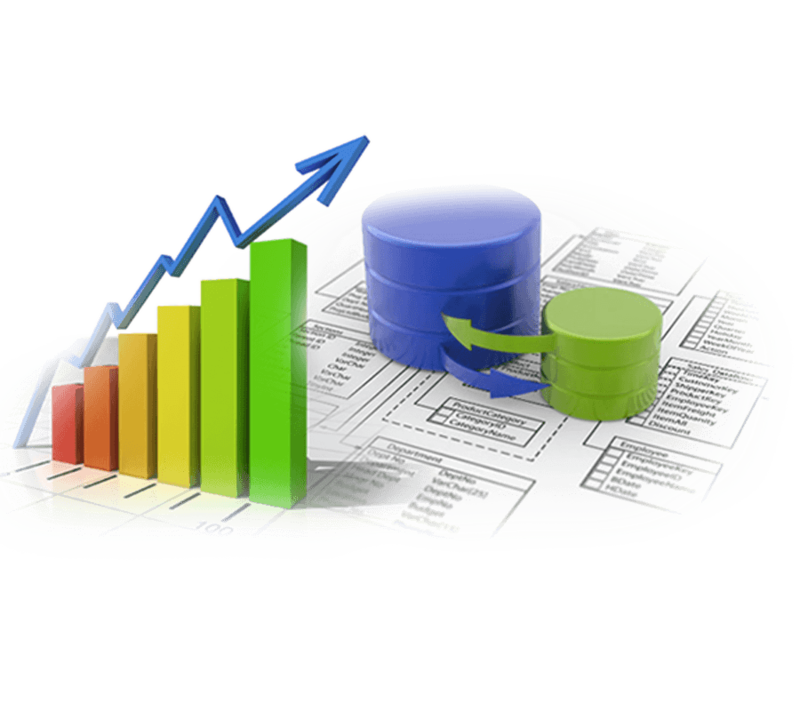 You can receive statistics and graphs your buy order on the basis of product and requirement. You can send automatically your buy order via e-mail to suppliers. You can determine practicing for buy order. You can receive open and closed order’s detail and cumulative reports on the basis of practicing. 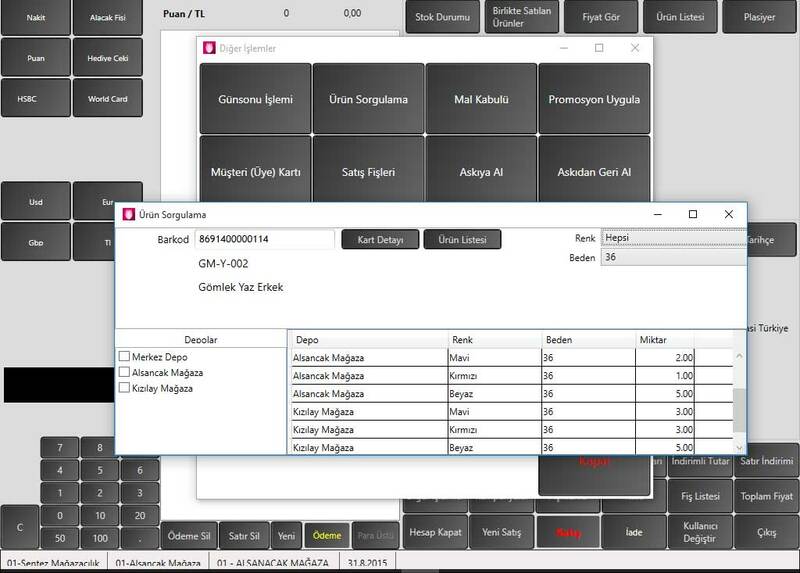 You can receive statistics based on group and identify product group (season, brand, model etc.) You can follow up your inventory on the basis of color/size. All tally in and tally out can arrangeable related stocks. Between warehouses, you can make stock transfer and counting transaction. You can follow up on the basis of warehouse, retail and department. Sales price is to be constituted automatically. 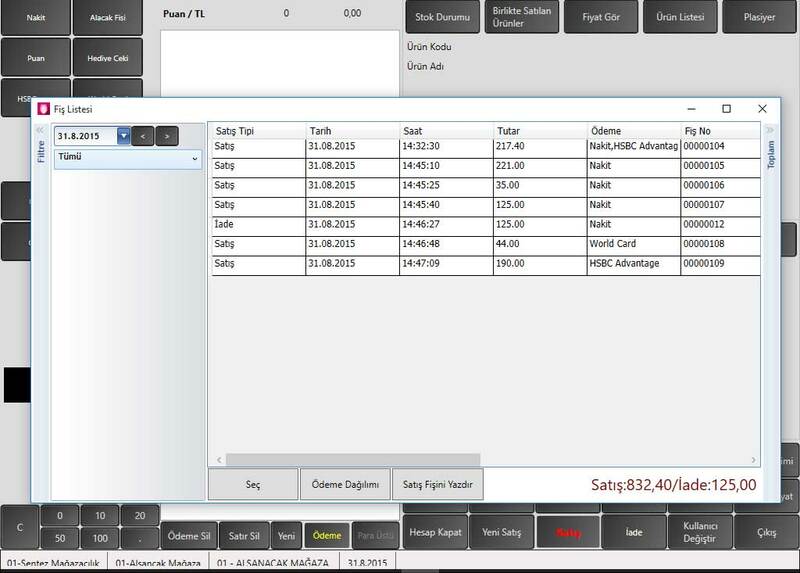 You can prepare automatically tally in and tally out in accordance with given order. You can use mobile device to access and out transaction. You can follow up on one report sales state and sales costs. 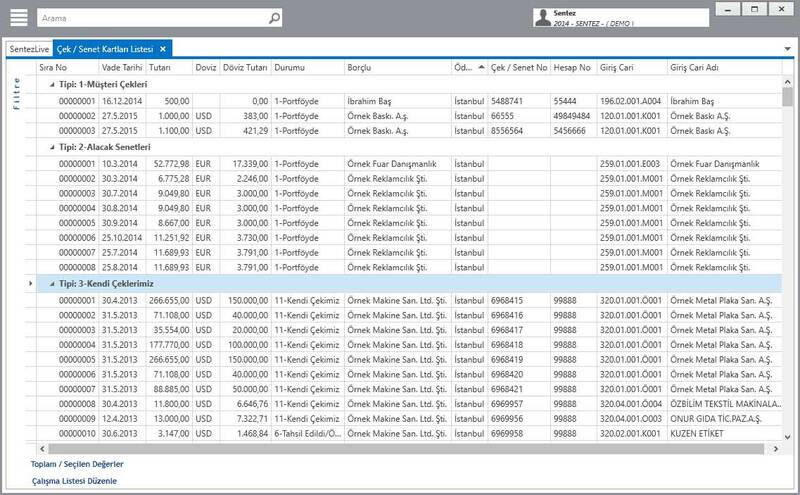 Inventory cost, you can make type of cost input-OBF, available-OBF, LIFO and FIFO, you can receive reports based on cost type. You can follow up on one report state of stocks in all warehouses. 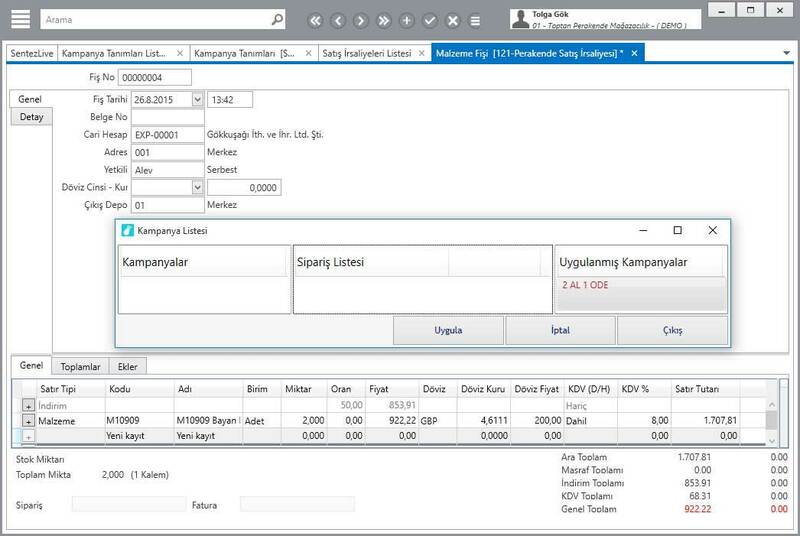 You can identify three different units to stock and can follow up stocks to each unit. 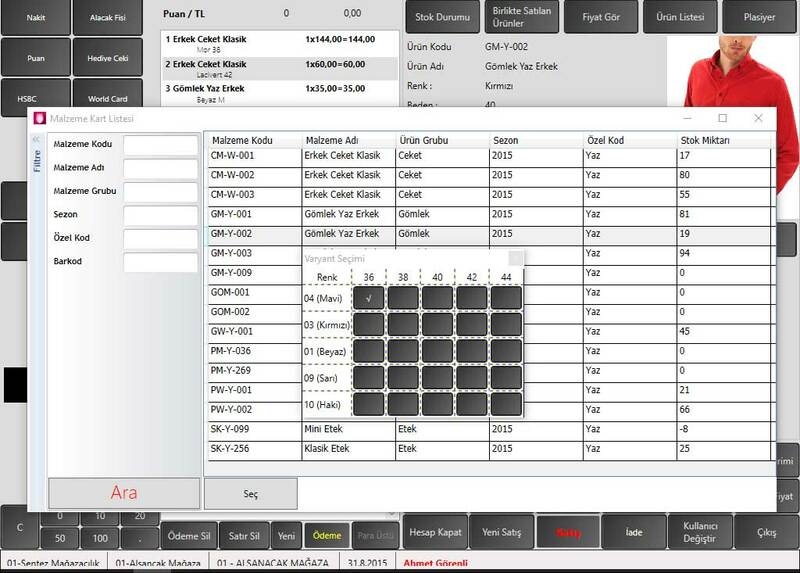 You can print automatic barcode labels on order, inventory and invoice receipt. You can identify barcode on the basis of season, size, color and model. You can change all stock codes as operand codes and no operand. You can copy card information from company to company or within same company. Through automatic counting transaction, you can compare state of stocks pre-counting and post-counting. 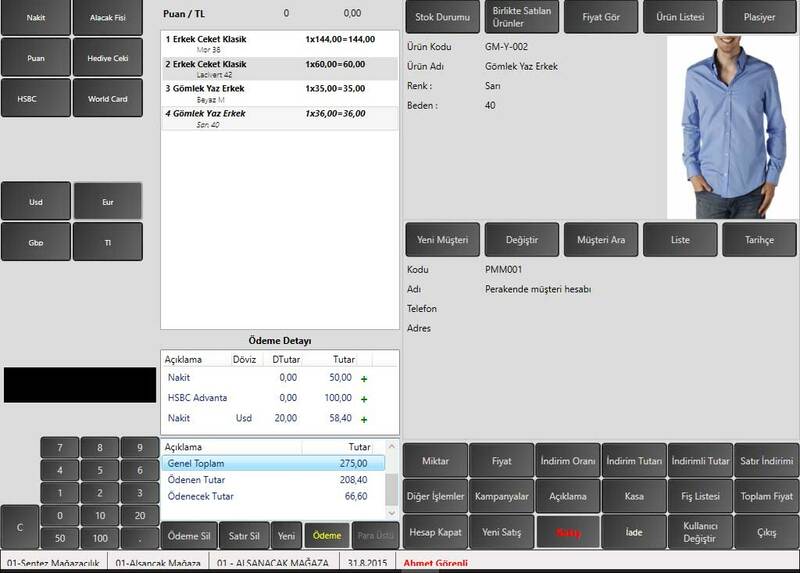 You can realize easily and rapid counting transaction through SentezPocketShop. 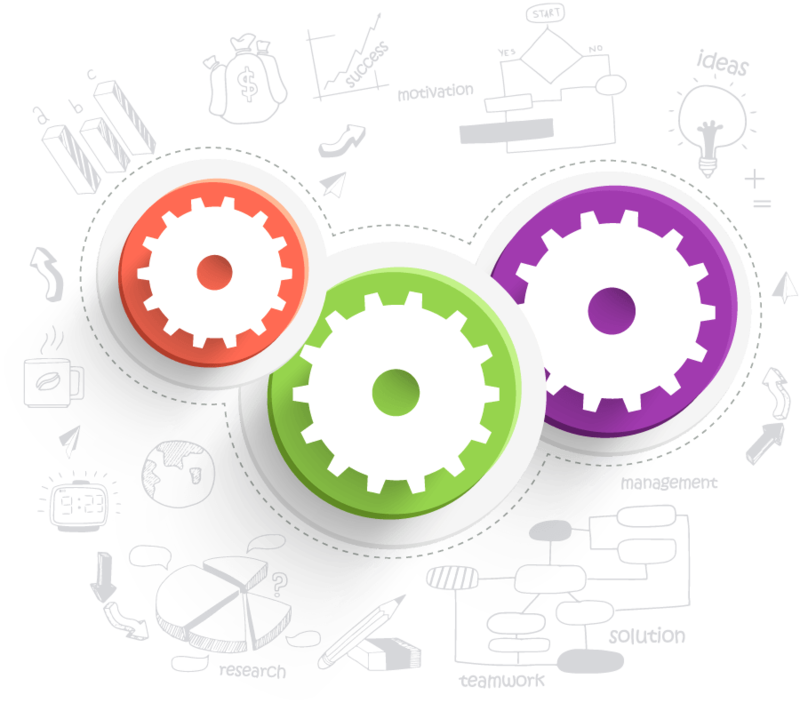 You can track products’ all the action product of producing serial number for each product. 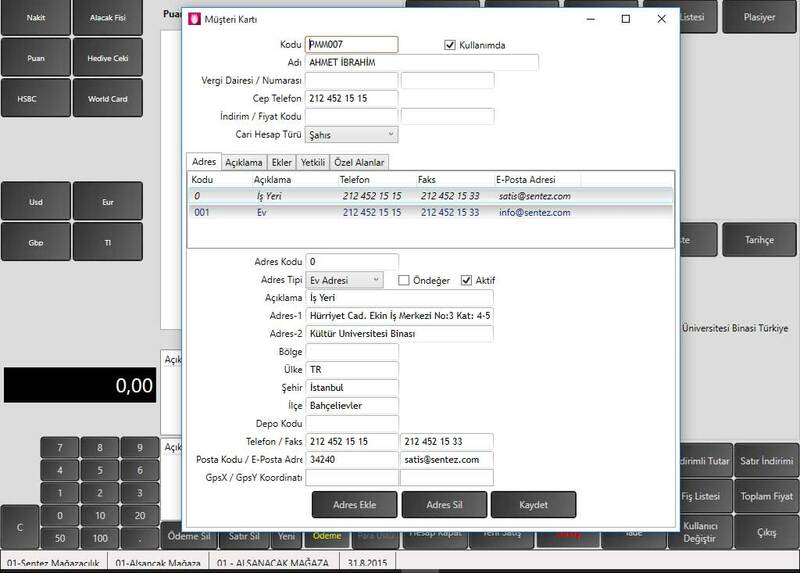 You can follow up stocks and identify as phone number, barcode number, and expiration date for serial card product. All buying and selling can be entering on the basis of TL and currency. Document number is giveable automatically. Overlapping input is dissuadable through document number control. You can create invoice automatically from inventory receipt in the direction of processed inventory receipt that can invoice more than one inventory receipt on a one invoice. 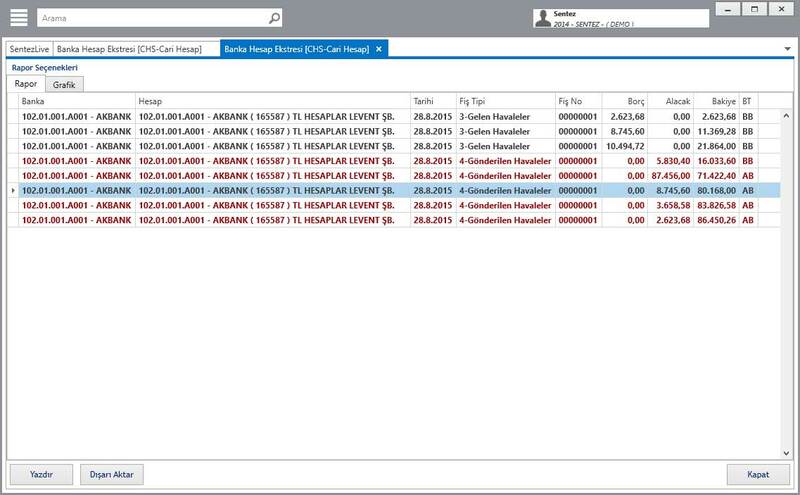 You can follow up invoiced inventory receipt and delaying invoice process. 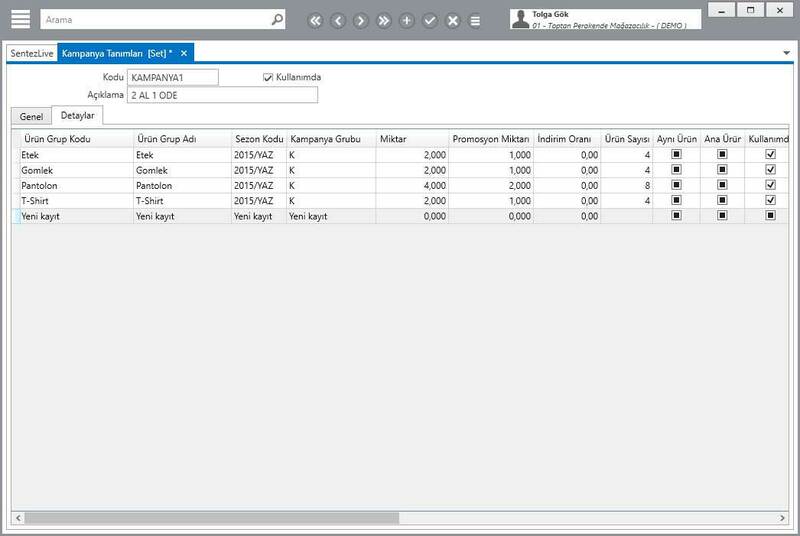 Buying/selling invoices can editable automatically on the basis of buying and customer order. You can transfer more than one on one invoice. 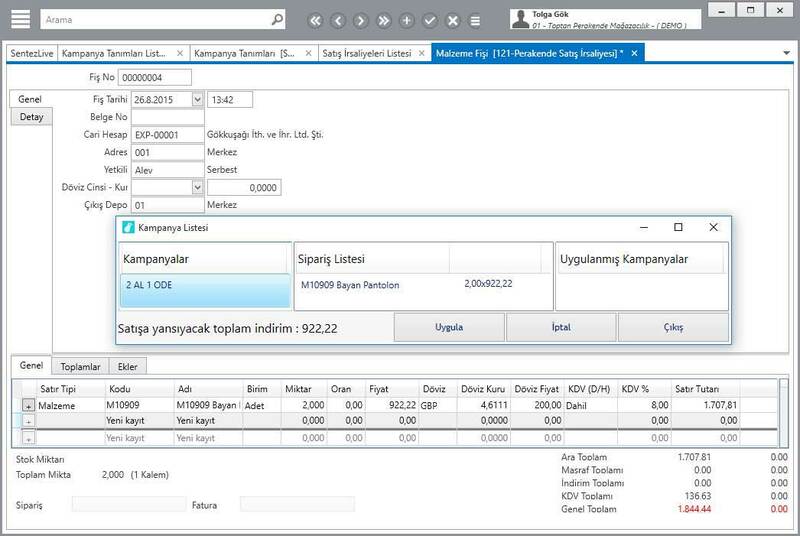 You can control invoices that the module cannot be integrated into the current account. 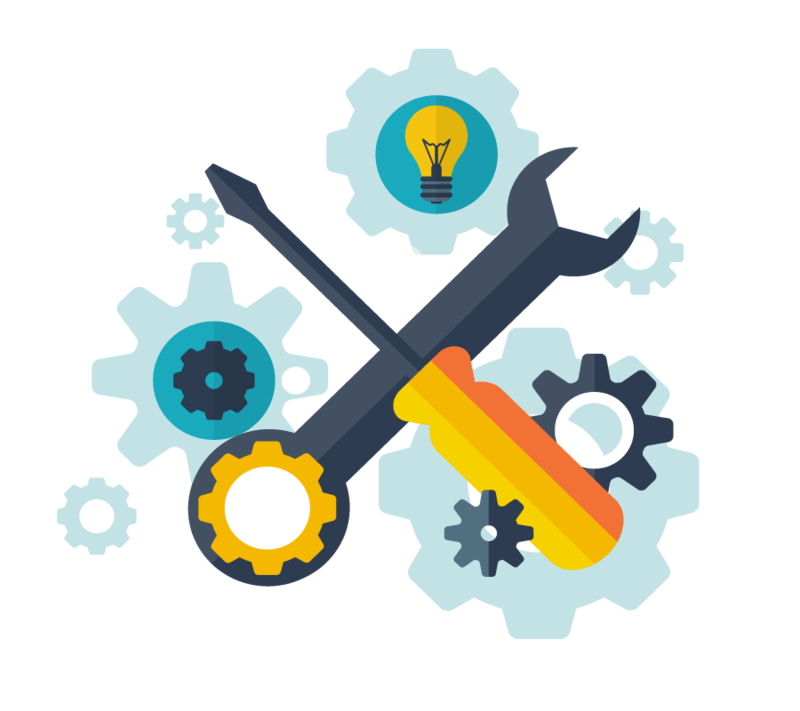 Alphanumeric and numeric can define custom code as title and line-based to invoice. You can receive reports detail and cumulative codes on the basis of given special codes. You can make open and closed invoice entry. Different cash can useable for closed invoices. Invoice payment maturity is determinable in both connected current account or based on invoice. You can identify amount or percentage discount and invoice expenses. 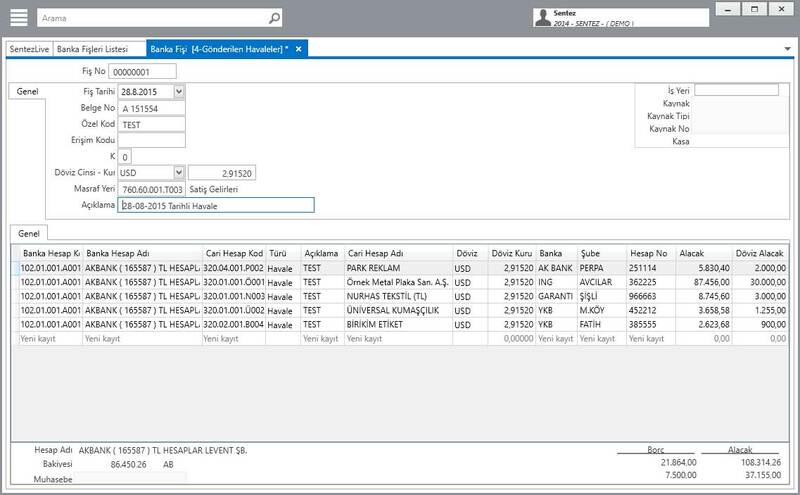 You can identify different dispatch on invoices entry for item of inventory. Buying and Selling table and statistics can receivable on the basis of current account, stock or general. VAT total amount and VAT lists reports can receivable in accordance with the invoice made entry. Current account and stocks card can receivable within invoice receipt. You can follow current accounts’ integration information. Transaction entry is doable on the basis of single card TL and currency that you can receive reports. Alphanumeric and numeric can define custom code as title and line-based within current account and receipts. You can receive reports detail and cumulative codes. Reports can receivable monthly and weekly aging in accordance with as invoices, cheque, delay interest and summary of debt follow-up reports. You can receive among the request dates on the basis of TL and currency as current account statement, stocked current account statement, reconciliation statement, and remainder of current account transaction and other modules’ integration result. You can receive label document and current account address list in accordance with identified address, phone information. You can transact risk based on limited and maturity by defining risk limits and maturity to current account. You can follow up current accounts’ total risk thanks to current account risk reports. You can receive remainder and transaction reports desired rate range based on debtors, creditors, debt balances, receivable balance, balance, clear account. Data input accelerate that company to company and within same company by copying. Cheque/bond entry can doable intended on currency and exchange rate. Entry made Cheque/bond movements can be integration to current account, accounting and bank modules through on-line integration work feature. You can receive statistics and cumulative reports own checks/note based on currency and TL. Based on bank, Cheque/bond reports are receivable detail accord maturity. You can receive given-based or taking-based only cheque and only note or both cheque and bond.You can follow up Cheque/bond history that can receive retroactive and current reports. You can receive statistics and reports cheque/bond on based current account maturity. You can define information as branch, account number, phone related to banks. You can make enter banks’ TL and currency on single card. You can transact banking such as withdraw cash, cash investment, bank borrowings, change currency, repo transform and against remuneration of export. Related to banks, credit spread and line, given note and useable credit information can definable. You can follow up balance tracking separately and overall accord type of account. Statements and balance reports can receivable. Through LiveSHOP, you can define bill and checks credit rater per annum for banks. You can follow up on that basis of this. 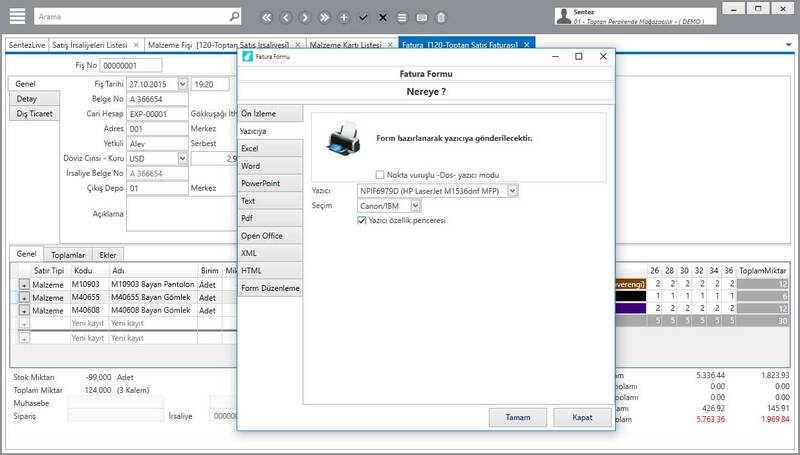 You can prepare intended bank receipt form and can give automatically bank order. You can make EFT and transfer transactions. You can create bank receipt automatically of the file from the bank (xml,txt) through automation transfer. You can carry out to attain the goal campaign of target market and customer-orientation that you can follow up results. 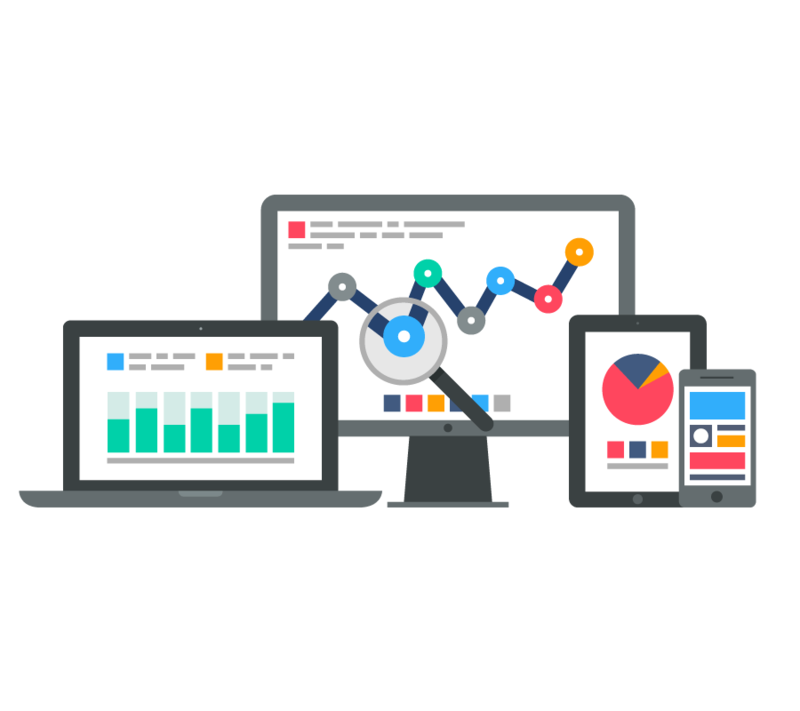 You can manage from a central all other information and promotions related to campaign such as start and end dates, purpose, method, target budget, target audience, the campaign team. 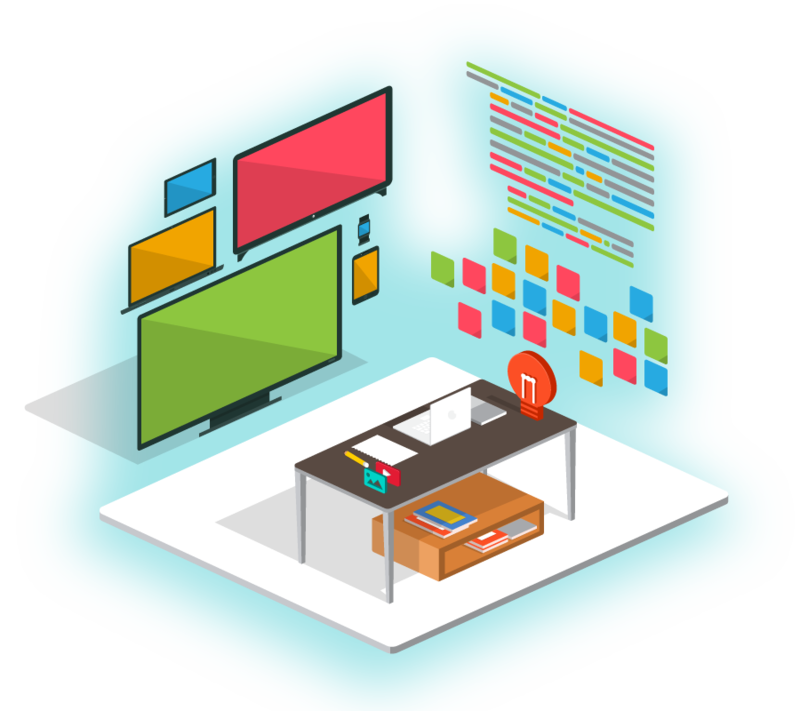 Through ease of use and flexible, you can design and apply a lot of different promotions. Accord promotion result, you can choose more effective the next step in your promotional campaign. 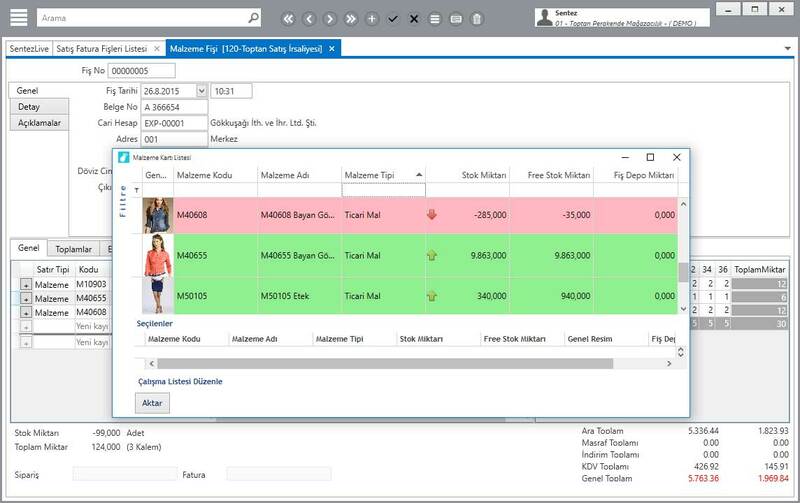 Your campaigns can prepare for product group as including a single product, rayon. Prepared your campaign is applicable specific retail or all retail. 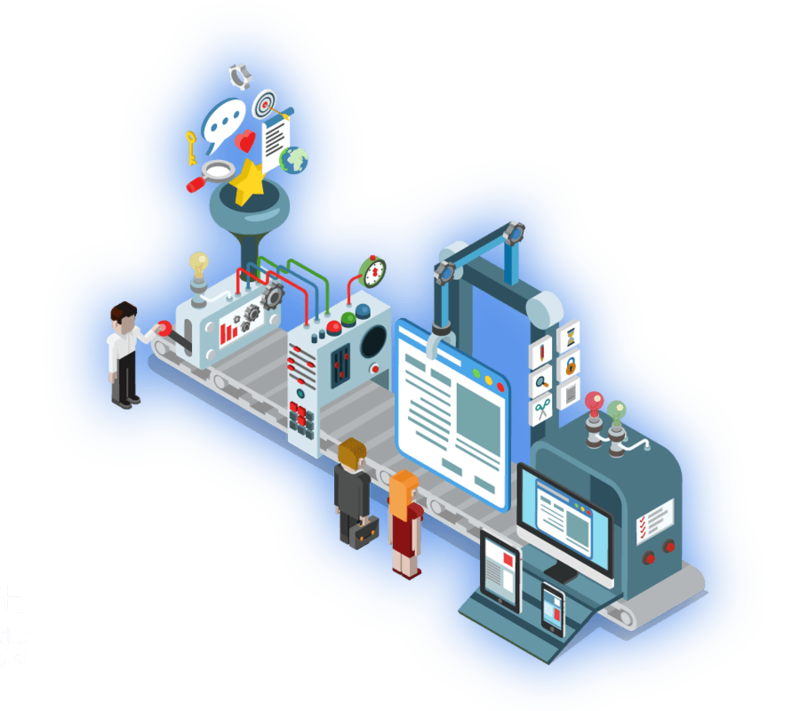 When product group and campaign increase, you can ensure the best implementation in terms of satisfied customer. 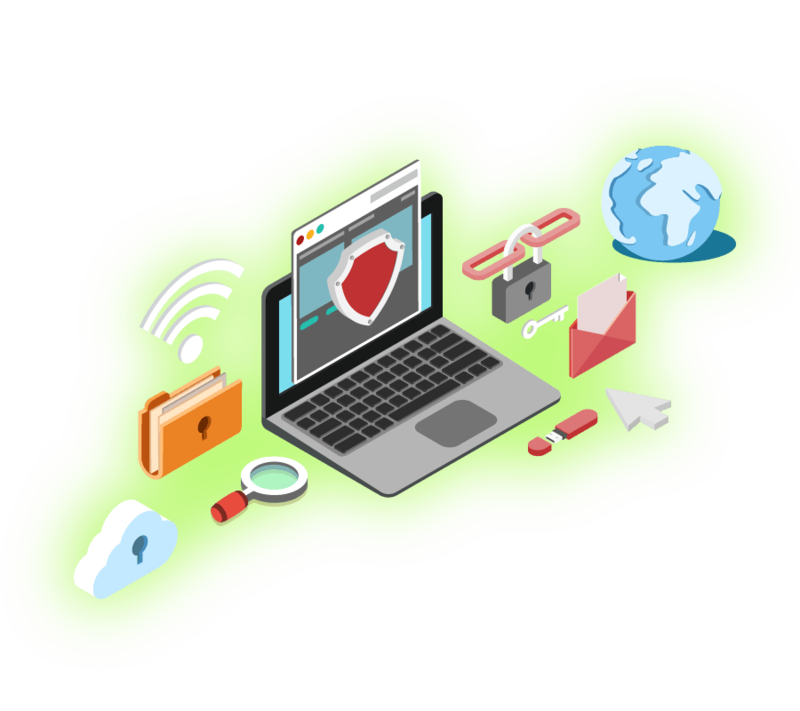 You can bid campaign in instant sales (as “If you buy these products more than one, you will receive a 50% discount ") customer satisfaction can increase. With prepared of specific your retail, you can make a difference so new customer and regular customer can increase quickly.The using of a more comprehensive financial decision-making model become a necessity for continue existence with balanced growth and appropriate business’s goal in your business’s adverse economic conditions.